Martin Scorsese's upcoming movie The Irishman will feature reunions of the acclaimed director and many of his cast members. Which one is your most anticipated? The Martin Scorsese-Robert De Niro reunion. It will be their first feature film together since 1995's Casino. 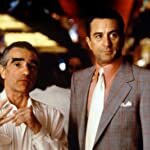 The two have frequently collaborated throughout their careers, making a grand total of ten films together since 1973 (Mean Streets, Taxi Driver, New York New York, Raging Bull, The King of Comedy, Goodfellas, Cape Fear, Casino, The Irishman and the short film The Audition). 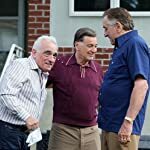 Τhe Martin Scorsese-Robert De Niro-Joe Pesci reunion. 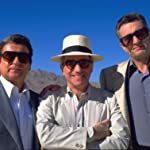 This is the fourth film for the legendary trio (Raging Bull, Goodfellas, Casino and The Irishman) and their first collaboration since 1995's Casino. Pesci has been retired and barely worked the last few years. Scorsese and De Niro pressured him to work with them again but he kept refusing, until he finally decided to do The Irishman. The Martin Scorsese-Harvey Keitel reunion. These two worked together extensively in the beginning of their careers in the late 60s & 70s (Who's That Knocking at My Door, Mean Streets, Alice Doesn't Live Here Anymore and Taxi Driver). Their last collaboration was in 1988 with The Last Temptation of Christ before they finally reunited for The Irishman. The first Martin Scorsese-Al Pacino collaboration. Scorsese and Pacino both broke through during the late 60s/early 70s and they always seemed like a match made in heaven. It's almost hard to believe that they have never worked together and their first collaboration for The Irishman is one of the most anticipated film moments of all time. 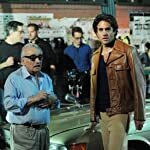 The Martin Scorsese-Bobby Cannavale reunion. Cannavale had an acclaimed recurring role in the Scorsese-produced Boardwalk Empire. That earned him the starring role in one more Scorsese-produced TV series, Vinyl, where he was actually directed by the legendary director in the Pilot episode. The Martin Scorsese-Ray Romano reunion. 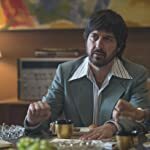 Romano was directed by Scorsese in the Pilot episode of Vinyl. Even though this series was short-lived and was cancelled after only one season, Scorsese appreciated Romano's work and went on to cast him in The Irishman. The Martin Scorsese-Stephen Graham reunion. 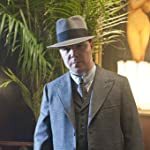 The British actor was cast as the legendary American gangster Al Capone in Boardwalk Empire and he was directed by Scorsese in the Pilot episode. His acclaimed performance earned him a role in The Irishman as well.